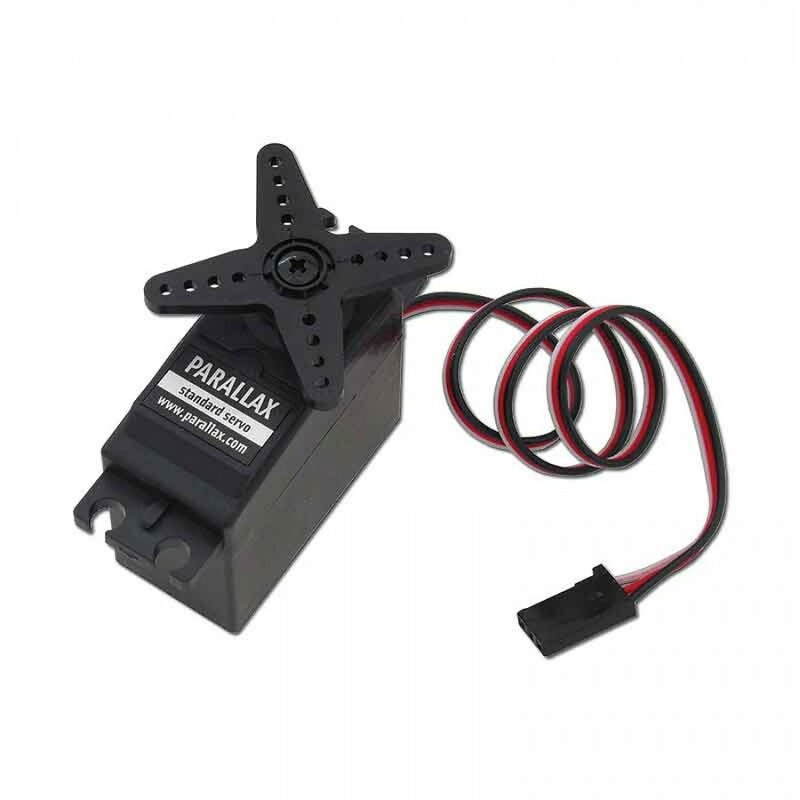 It can hold any position over a 180-degree range and is easily interfaced with any Parallax microcontroller. Note: Servo current draw can spike while under load. Be sure that your application's power supply and voltage regulator is prepared to supply adequate current for all servos used. do not connect the servo's Vss line directly to the BASIC Stamp module's Vss pin.